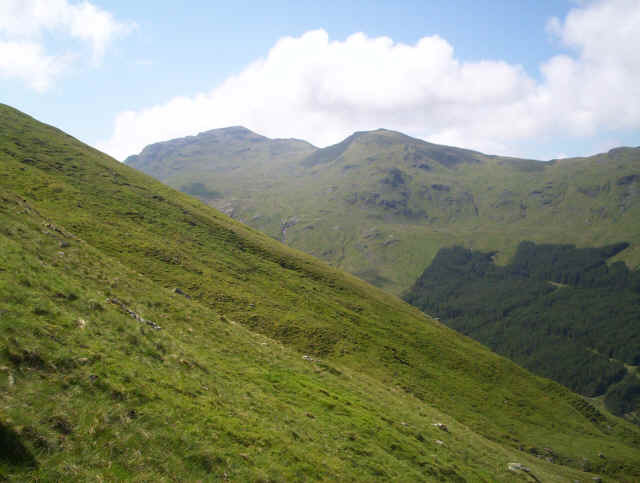 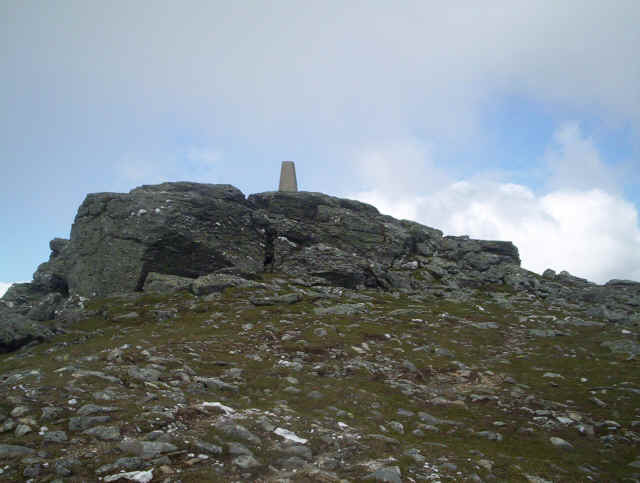 I'd wanted to climb Ben More ever since I saw it during a visit to Crianlarich one October. 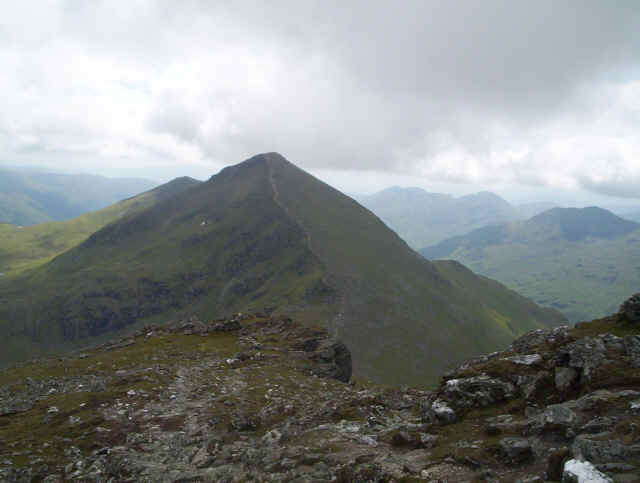 Then the ridge was covered with ice and there wasn't the slightest possibility we could have climbed it. 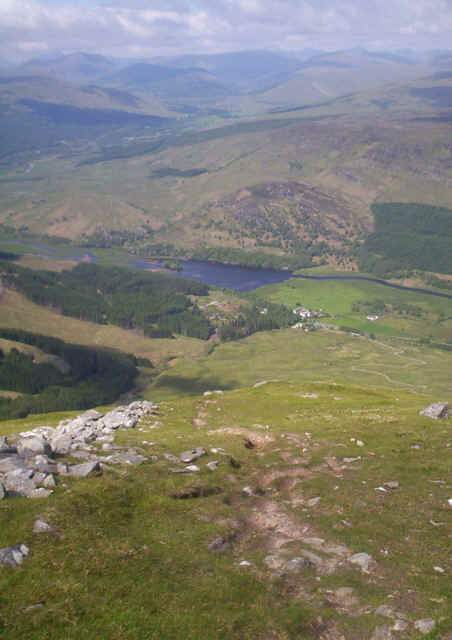 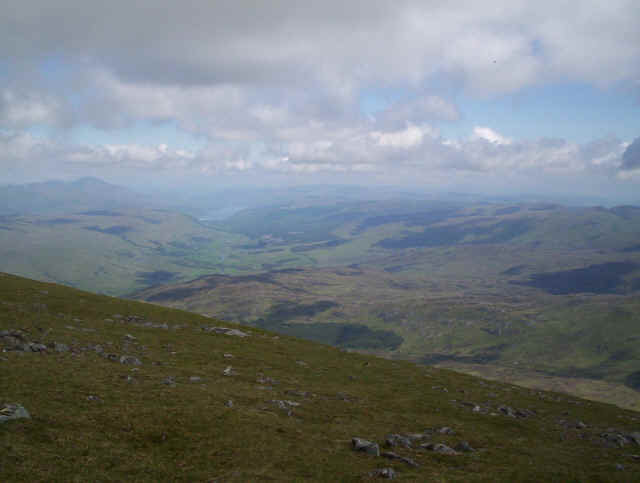 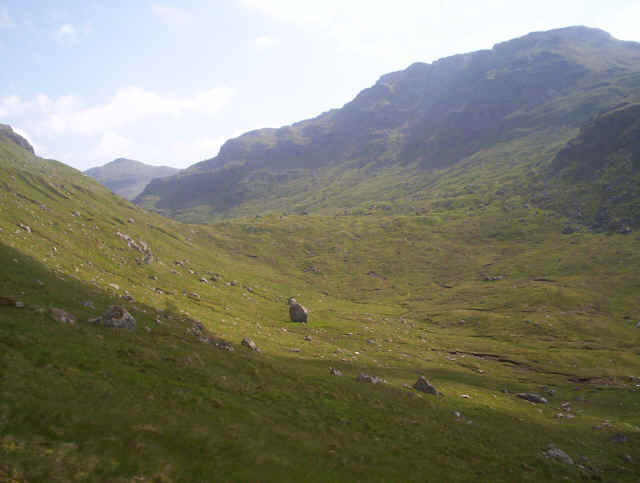 A visit to Tyndrum in June 2007 and a period of settled weather gave me the opportunity to climb the BIG HILL, and what a steep one it is too! 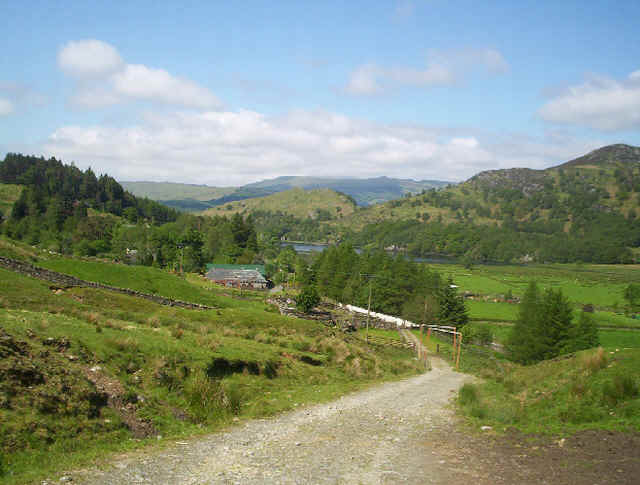 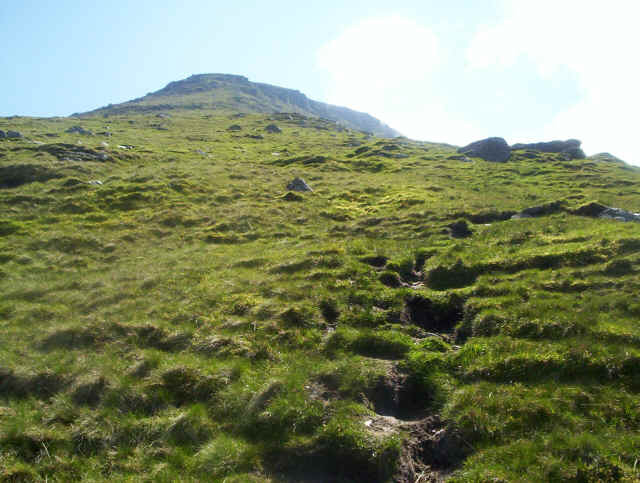 There isn't really any path on the way up so it's a question of head down, slog upwards and pause occasionally for the view and a rest. 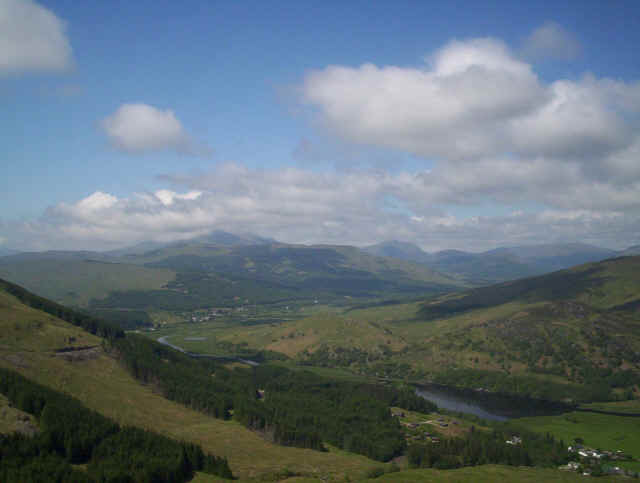 Looking down towards Crianlarich and Starth Fillan. 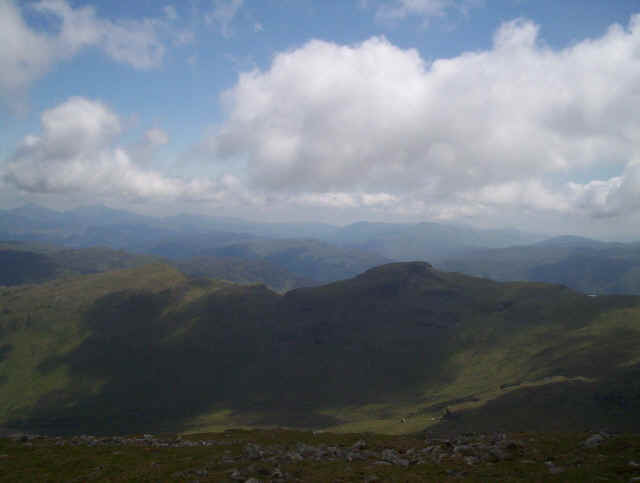 Ben Lui, Ben Oss and Beinn Dubhcraig dominate the background. 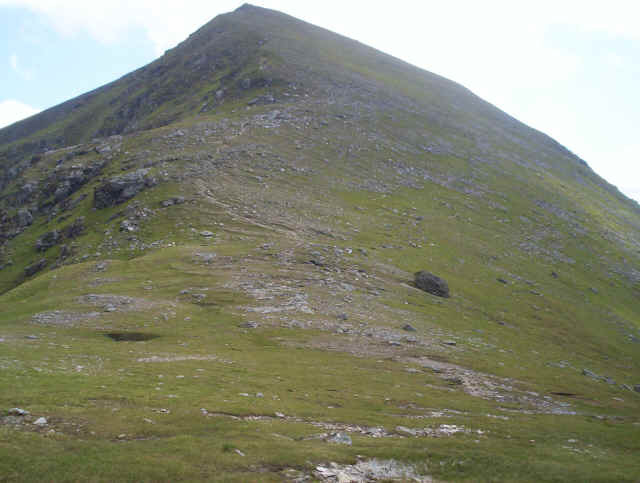 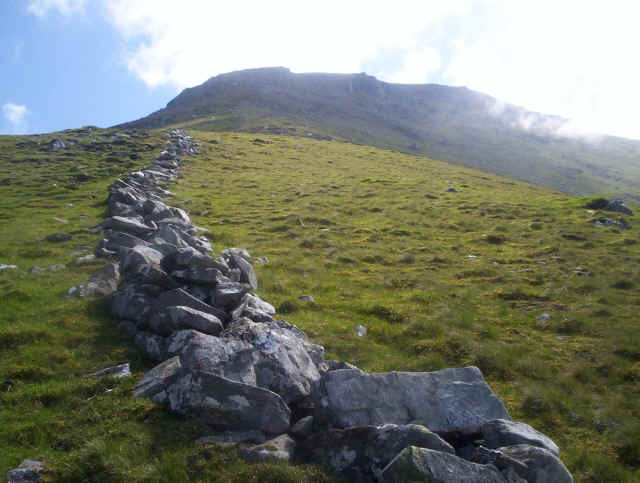 Ben More really is this steep - an unremitting slog to the summit! 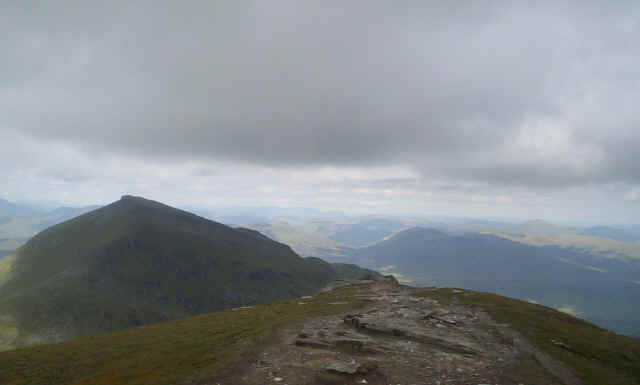 Almost down on to the vehicle track by the Ben More Burn. 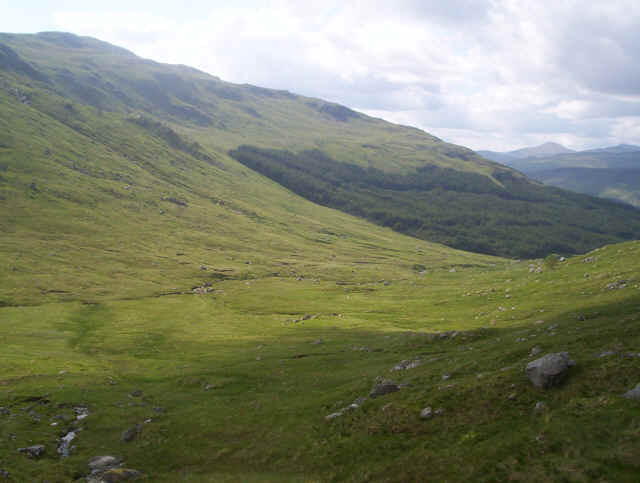 Then it's a couple of miles along the main road to Crianlarich - luckily there are very broad verges so there's no tarmac bashing.